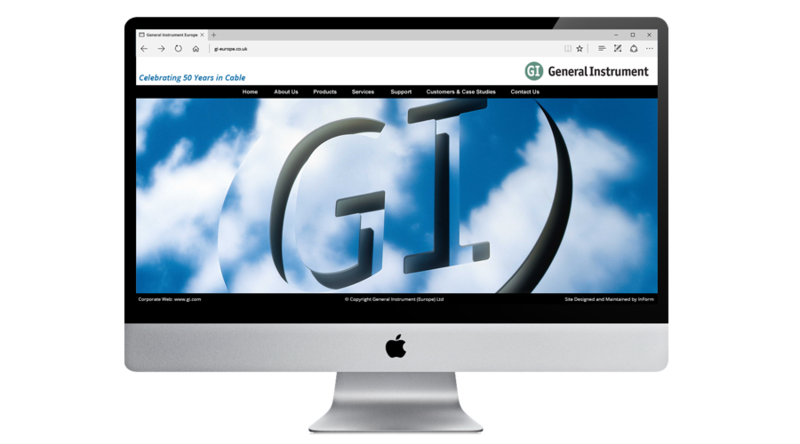 Established in 1948, General Instrument Corporation (NYSE: GIC) is the world leader in developing technology, systems and product solutions for the interactive delivery of video, voice and data. 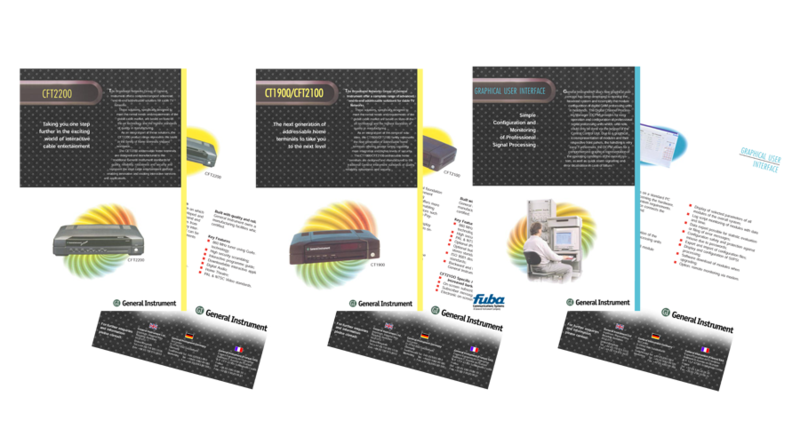 With an annual turnover in excess of £2.5 billion, GI offers an extensive portfolio of end-to-end broadband architecture and transmission products for the converging cable TV, telephony and IT sectors. 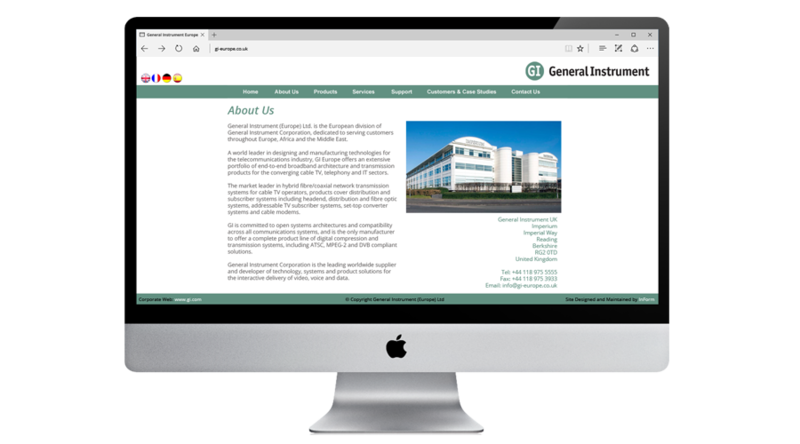 We launched the first website for General Instrument Europe back in 1996. 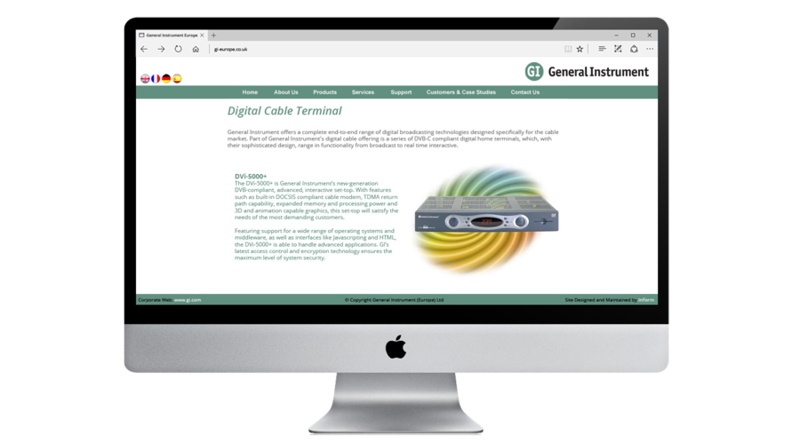 It received much acclaim in the Cable and Satellite press and our involvement with GI grew to being their preferred supplier for a full range of Digital Marketing services. These included online animated adverts, landing pages, micro sites, web collateral, offline marketing collateral, E-Newsletters, Search Engine Optimisation (SEO), Copywriting and Email Marketing Campaigns. In 2001 General Instrument was bought by Motorola for $17 billion. Based on a recommendation from GI, we were delighted when Motorola approached us to design the European website for their newly formed Broadband Communication Sector (BCS). 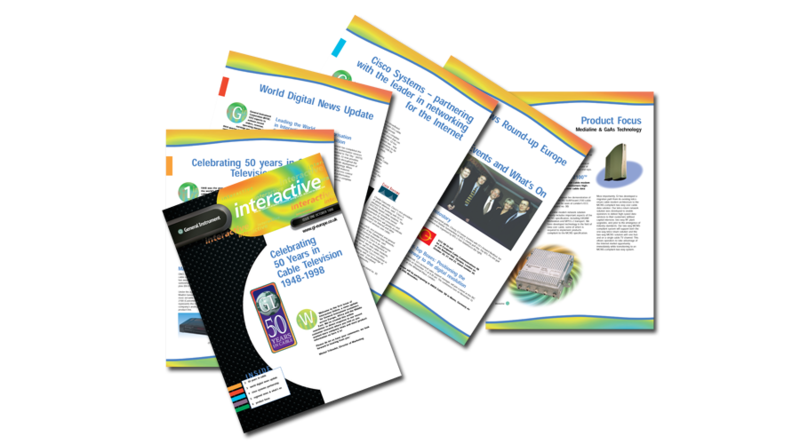 We initially chose InForm to design, develop and support our European website because they showed great understanding of our business and were able to offer a complete integrated marketing solution at a price unmatched by rival bids. It was an excellent decision, and now, more than five years on, they remain our online Digital Marketing partner. InForm has never failed to deliver on time and within budget. They offer great advice and deliver creative solutions that meet the needs of our business.